Kota Belud located about 1.5 hour drive from Kota Kinabalu City towards Kudat. 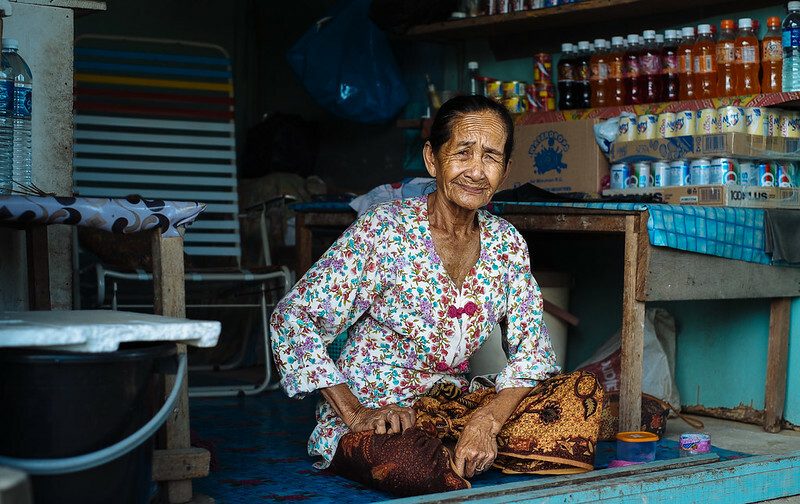 It is the home of the infamous Bajau Horsemen nicknamed “The Cowboy Of The East”. The main reason of the nickname given is they are the earliest Sabahan ethnic group ever recorded know how to ride a horse. 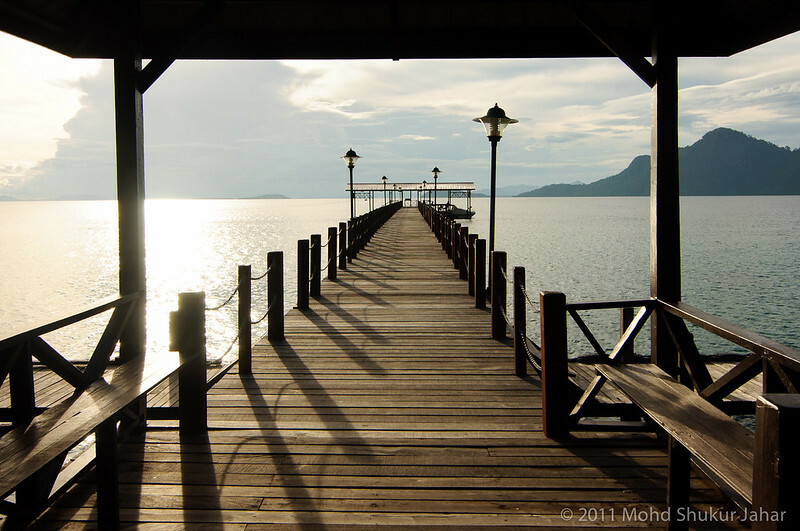 Beside of that, Kota Belud is also well known for its “Tamu” (Sunday Market) and Mantanani Island. 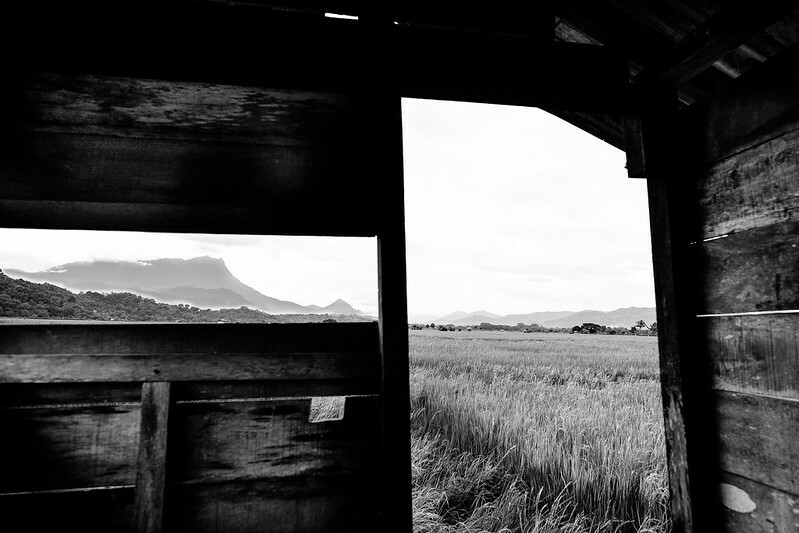 Along the way up to Kota Belud passing Tuaran, we can actually enjoy the breathtaking view of Paddy Field and The Majestic Mount Kinabalu. Being tempted by Azman & Rade about their plan to shoot at Kota Belud, i can’t resist to not to join them. So last Sunday, we actually planned to start at 4am but delayed because of uncontrollable circumstances. I made excuses that my phone alarm was sabotaged by my wife. We missed the sunrise which is our main idea for the photo outing. 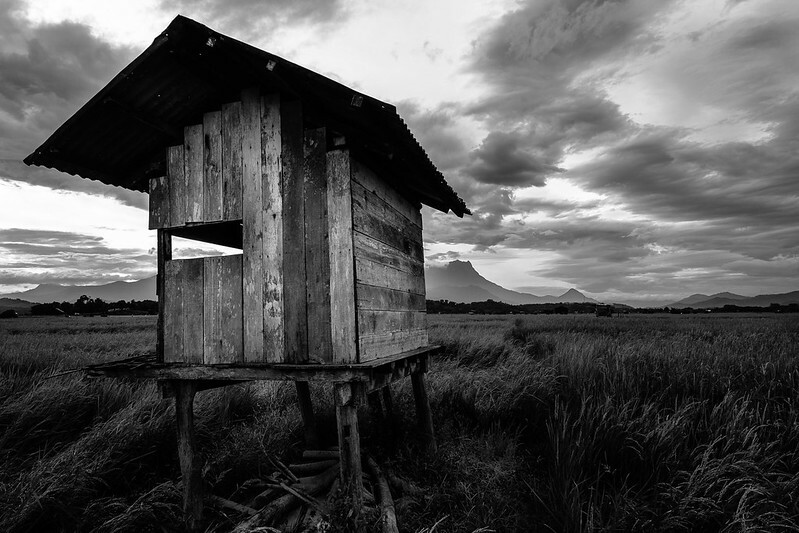 Anyway, this is some shot which I intended to highlight about a hut (local native called it as “Sulap”) at a paddy field somewhere in Tempasuk, Kota Belud. 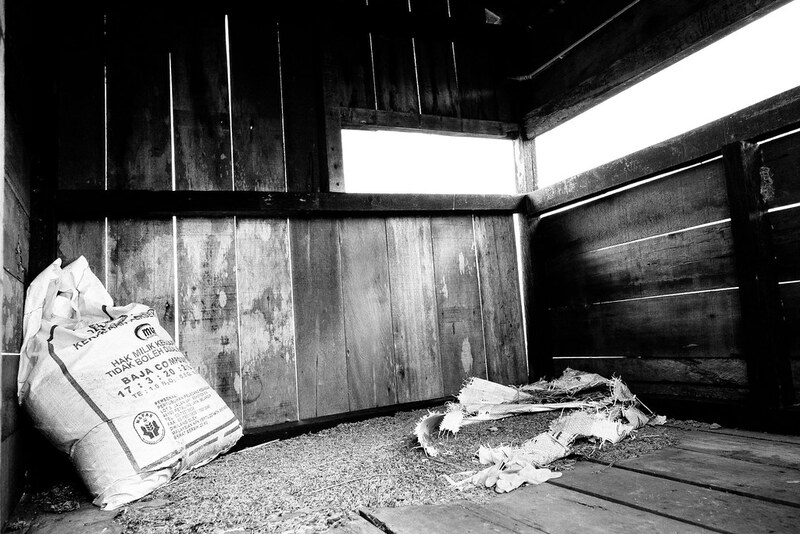 Sulap is multi-purpose space, it is the resting place, temporary hut for farming tools and a place to stay (when it near to harvesting season) where they will hold ropes which plastic bags were tied along the rope and produce noise to chase away the birds (Pipit). For the marine enthusiast, the blue-green mesmerizing beauty of the Tun Sakaran Marine Park beckons with a hundred and one promises of a wonderful experience both above and underwater. Lying 20 kilometers (approximately 2-hour boat ride away) off the Semporna mainland, The Tun Sakaran Marine Park is the largest marine park in Sabah. At 350 square kilometers, it also has the largest concentration of coral reefs in Malaysia. 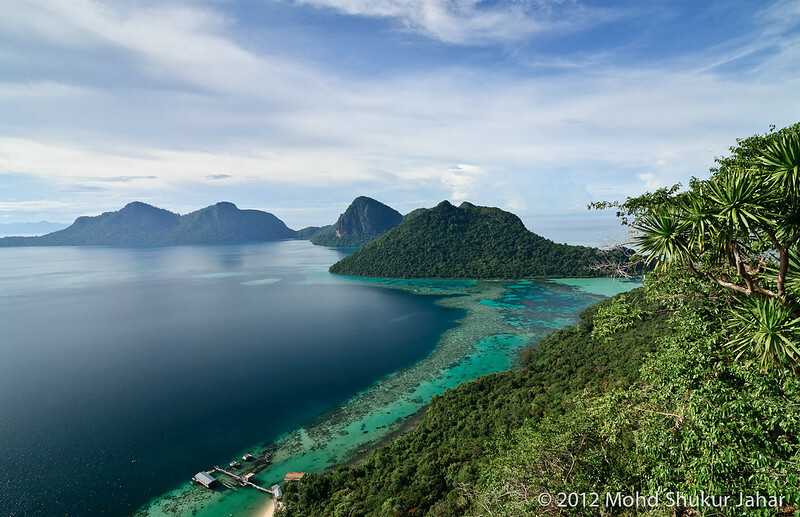 This Marine Park, which is also known as the Semporna Islands Park, comprises of eight islands—Bohey Dulang, Bodgaya, Sebangkat, Selakan, Mantabuan, Sibuan, Maiga, as well as the Church Reef and Kapikan Reef. 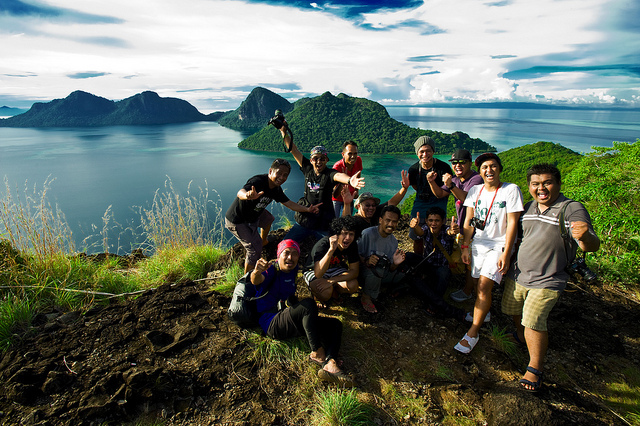 Bohey Dulang and Bodgaya islands are extinct volcanic remnants while Sebangkat and Selakan are two islands of raised limestone platforms. Although the islands of Tun Sakaran Marine Park are lesser known compared to Sipadan Island; the marine park is said to have an even higher level of biodiversity than in Sipadan. Whereas Sipadan has a collection of bigger fish and an abundance of turtles, sharks, and other marine lives inhabiting its waters; Tun Sakaran Park has more biodiversity in terms of species and habitats. Tun Sakaran Marine Park is not equipped with facilities for tourists; however, visitors are welcome to explore the marine park’s dive sites with their snorkels and scuba gears. Divers have reported many sightings of eagle rays, turtles, barracuda, bumphead parrotfish, and plenty of nudibranchs. There are large walls and a cornucopia of macrolife in the Bodgaya lagoon, while the sandy areas are home to big gorgonian fans and sea pens. *Prior to visit, visitors need to obtain a permit from Sabah Parks. These are photos of Bohey Dulang taken during our photography trip visiting islands surrounding Semporna.